I’ve been eating more vegetables lately, whether it’s to be healthy or just to balance out all the chicken and butter, i’m not sure. But it doesn’t really matter, because they’re delicious. You can use any mix of veggies you want. 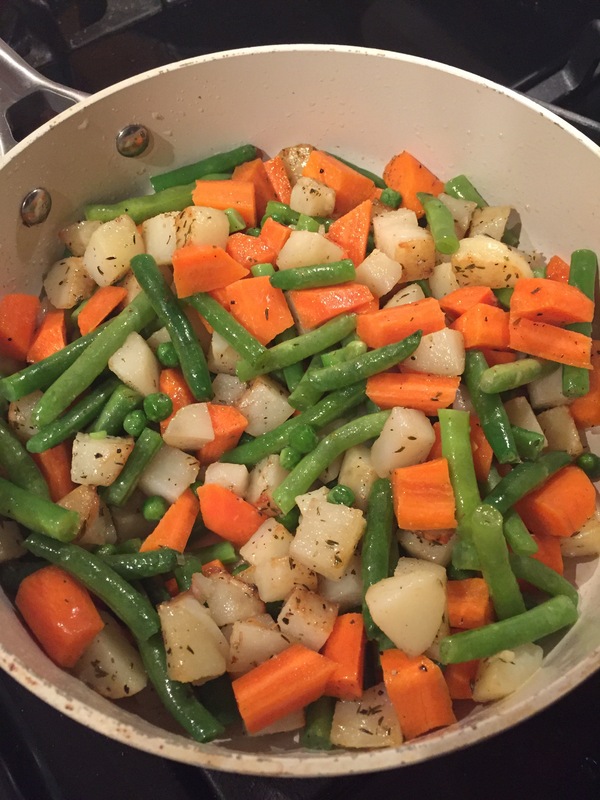 i tend to go for the staples in my house: Potatoes, carrots, peas, green beans, zucchini and sometimes sweet potatoes. There’s no set amount of anything really. You can just add what you have. Don’t have butter use some olive oil. Don’t have thyme, use parsley. Anything goes here. Heat the oil and butter, and add the potatoes. Cover and let them cook for 5 minutes on a medium heat, stirring once or twice in between. Then add the peas, beans and carrots and the seasoning, mix and cover and cook until all the veggies are tender, mixing occasionally. Once the veggies are cooked through add the lemon juice and serve!